I use two different golf GPS measuring devices. In 2013, I first purchased a Garmin Approach 6 and that is the topic of my article today. 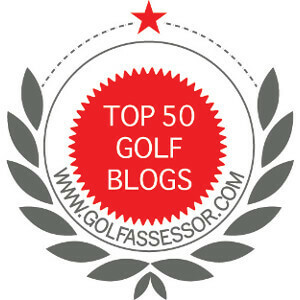 It is a fantastic device and I found that it improved my course management skills and club selection. For the past 5 years, I have used the device to glean the front, pin and back yardage needed to determine shot selection. It is only recently after purchasing a laser finder, that I realized that I miss using my device and it was costing me strokes. Want to know how? Using the yardage properly will save you storks and lower your golf score. My Approach 6 has three yardages. The front, middle and back of the green. These are all valuable numbers that help me judge the distance I want to hit my ball. There are many variables I must weigh for each shot. The are wind direction, green elevation, lie of my ball, hazards, and current level of play. Wind Direction. Down wind, club down, Up wind, club up. Left to right wind, normal club selection. Right to left wind, club down. These work for me because I usually draw the ball slightly. Green elevation. If the green is above my ball, club up. If the green is below my ball, club down. Lie of my ball. In on the fairway, normal club selection. If the ball is in the first cut, club down. If the club is in the deep rough, club up. If I am going over a hazard, club up. Hazards. Am I hitting over a hazard, club up. If I am avoiding a hazard on the left, right or back, normal club selection. Current state of play. Am I hitting the ball very well, club down. If I am hitting normal, normal club selection. If I am playing poorly, hit a normal club and pray! Using Harmon’s advice, I started using an 8-iron more often (using the image above) and was closer to the pin more often, than before. I still use my 9-iron from time to time, but I do not automatically reach for my 9-iron any more. I now think about more and choose the better club for the appropriate shot. My conclusion to the above diatribe is that I was misusing my GPS for years. Now that I have a better understanding of my why, I will do better and look for shorter birdie putts. What do you thing about Butch Harmon’s advice? Am I applying it properly to my Approach 6? Have you ever found that after using some good advice it works well, then for no apparent reason it stops working, and you go back to what you used to do, and it works well again.Is this usual, or is it just me. I have found that. If I receive good advice, I have tontrain myself to trust that it will work over the long haul. Ibrevert back to my old ways thw advice fails a.couple of times. I think it is a comfidence thing more than anything. What do you think? 2nd shots, a fade every time. That is interesting. Straight off the tee and a fade for his second shot. That is odd. Reset your driver….well if what you were doinf did not work, then resetting is a good idea. I hope it lasts. Actually my friend fades off the tee as well. It’s even more frustration when it happens mid round. You go 9 holes feeling like your playing darts with the flags, then all of the sudden, you start hitting all pulls or pushes and don’t ‘feel’ even a slight difference in what you are doing. There’s a reason golf is a four letter word. Best of luck out there. thanks for your remarks, I know exactly where you are coming from. Trust you Putt (another four letter word) well. Jim, Harmon’s advice is excellent and pre-dates GPS technology. Swinging too hard usually results in an overactive upperbody and causes the mishit. We are on the same page for sure. I forget to club up from time to time and it never ends up well. I’d say you are. I’m a big fan of “over clubbing” when there is no obstructions in the way that require something different. Anyone who is seeking better consistency is going to like the results they get if they practice doing it a bit. I used to fall into the “macho” trap and try and push my PW out to 150. Today, for that 138 yard pin of yours an 8 would be my first thought but I might even hit a 7. Most of the eagles and birdies I’ve made in the past two years came from clubbing up and using smaller swings. A gap wedge from 70 yards out, or a PW from 100 are both way more accurate and consistent than a full swing shot generally is. This past weekend I hit one of my drives even with the 150 yard marker on a par 4. I was guessing I was 148 to the flag with the angles and had nothing in the way. I chose a 6 iron instead of a 7 which would also have gotten me there easily enough. I hit that one a bit more pure than I expected and ended up on the wrong side of the flag above the hole. But I was still putting and that’s the kind of mistake I can live with. In fact, that’s the kind of mistake I want to have if I have to have one at all. Exactly. You described my thoughts perfectly.